The PIC 337G is New Zealand's best selling Liquid Gene and natural serve product (PICboar 335). 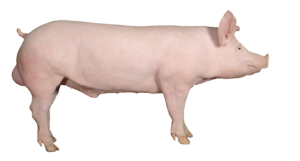 This boar has excellent growth rate and feed conversion ratios that can take market pigs to heavier weights in fewer days, while decreasing the cost of gain. The 337G produces high yield carcasses with an emphasis on meat quality. 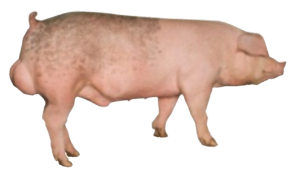 The PIC 337G uses a range of PICmarq DNA markers in conjunction with each boar's own and relatives' off test performance data to increase the accuracy with which PIC selects the best boars based upon EBV (estimated breeding value) for days to market, average daily feed intake, backfat and loin depth. The emphasis of this boar is on reducing production costs and capturing value for the highest lean content in the progeny of PIC boars. His progeny can be efficiently taken to very heavy slaughter weights with low backfat levels.